Counting nine Grammys, three Gramophone Awards, and an Avery Fisher prize among its achievements, the Emerson String Quartet is widely regarded as a giant among American string quartets. For the bulk of its illustrious career, the Quartet’s personnel remained remarkably unchanged, consisting of Eugene Drucker and Philip Setzer (violins), Lawrence Dutton (viola), and David Finckel (cello). However, their most recent album, Journeys, marked Finckel’s departure from the quartet after a distinguished 34-year career, being succeeded in 2013 by cellist Paul Watkins. 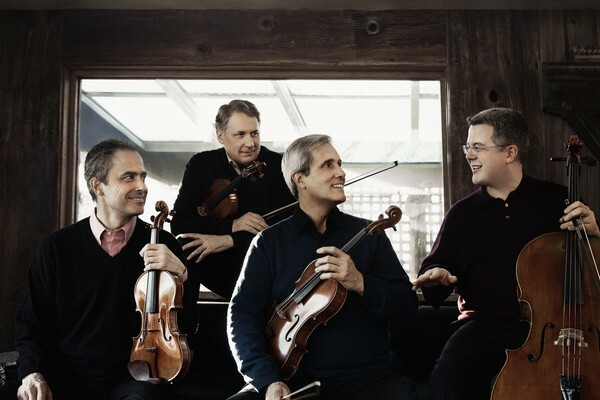 In anticipation of the Quartet’s upcoming performance at Chicago’s Harris Theater on May 20, the Maroon spoke with violinist and founding member Eugene Drucker about the group’s beginnings, collaborations old and new, and what the future holds for the Quartet. Q: When did you begin calling yourself the Emerson Quartet? And why? A: In the ’76-’77 season, we decided to become a professional quartet—to really make a go of it. I think it was sometime earlier in 1976 that we decided to take the name “Emerson” because we wanted to celebrate the U.S. bicentennial year with an American name that had cultural overtones. Q: Your most recent album, Journeys, was an album of sextets released in 2013. That was the year, of course, that the quartet embarked on a new journey itself with the official addition of Paul Watkins on cello. How long have you known Mr. Watkins? A: Well, Lawrence Dutton played some chamber music in an ad hoc ensemble with him in 2009. I didn’t know [Paul] at that point, but Larry came back from that experience and said to Phil and me, “If, for some reason, David ever decides to leave the quartet, we’ve got to try to get this guy as a replacement because he’s amazing.” I’d never heard Larry talk like that about another cellist, because we’d always thought that our current lineup at that point was going to be the final lineup of the quartet. Then in the summer of 2011, Phil Setzer played with Paul Watkins at David Finckel’s festival Music@Menlo, and he had a wonderful experience doing that. It was only a couple weeks after Phil played with Paul that David informed us that he would like to quit the quartet after another two seasons. We took a couple of weeks to decide what we wanted to do, and we decided yes, we did want to continue with the Emerson Quartet—regenerate ourselves, so to speak—and within a couple of months after that, we approached Paul Watkins. Q: Your management released a beautiful mini-documentary, “Transition,” on YouTube that chronicles David Finckel’s last performance with the Quartet. In it, you said that “every time you play with someone else, whether it’s a temporary collaboration or a permanent collaboration, you learn something new.” What have you learned from Paul Watkins, having played with him for almost two years now? A: He’s a very beautiful player who has brought a different sound to the Quartet. You know, the cello provides foundation for the sound of the whole quartet. Probably the Quartet’s sound itself has—I hope without losing excitement—taken on a slightly mellower hue than what we had before. It’s not that he has taught us anything in a pedagogical or didactic way, but I can tell you this: He is an extremely busy person. 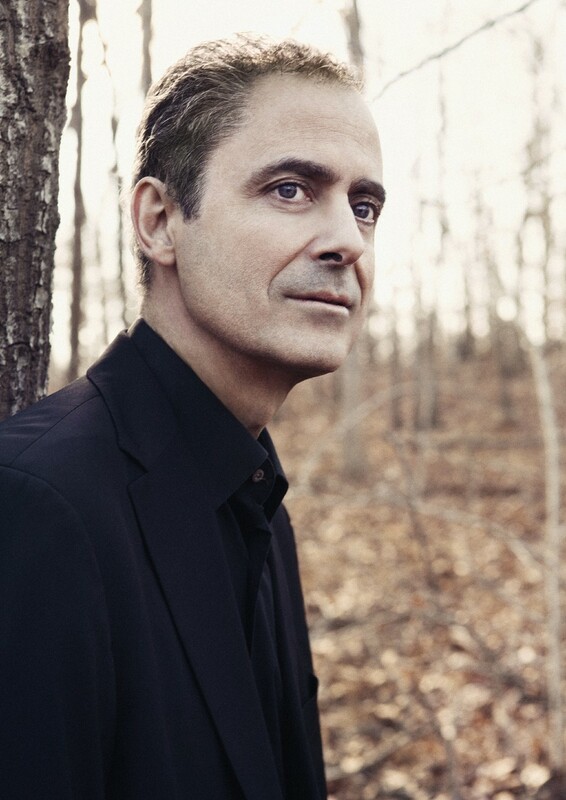 He still has solo commitments from his previous career—he goes to England often to record—and he’s also a conductor and [pianist]. So I’d say what I’ve learned from him, or at least can aspire to, is a way to be as busy as he is and yet not seem driven—on a personal level, and to some extent on a musical level. Q: Speaking of colleagues: Tell us a little bit about Colin Carr (cello) and Paul Neubauer (viola), with whom you collaborated for Journeys, and with whom you’ll be performing at the Harris Theater on the 20th. A: We collaborated with Paul Neubauer on the Dvorak String Quintet No. 3 in E flat major (Op. 97), which is included in the last album we made for Deutsche Grammophon, Old World–New World (2010). They’ve both played Brahms sextets with us, as well. So we’ve had a collegial relationship with both of them over the years in different configurations, and it’s a pleasure to play with them. Q: Attendees of that program will have the exciting opportunity to hear a new piece—only premiered a few months ago—that was commissioned specifically for the Quartet: Lowell Liebermann’s String Quartet No. 5. How would you characterize the piece? A: It’s a very accessible piece. It’s scored big-time, I would say, with audiences at most of the concerts where we’ve performed it; people speak to us quite frequently about the Liebermann afterwards. It has long, sweeping romantic lines, a compelling narrative arc, and a lot of exciting, fast material. But mostly I would say there’s a sense of inner cohesion about it. The slower sections have not only that sort of romantic, lyrical strain I’m talking about, but at the beginning and end of the piece there’s also this very mysterious sort of atmosphere. Q: We have a robust chamber music scene at the University of Chicago, with both a department-led program and a student-run program. As a longtime chamber musician, is there something about playing or rehearsing with a quartet that you know now that you wish you knew when you were younger? A: That’s a good question…. I think maybe I just understand certain things more deeply than I understood them decades ago, that playing together in a quartet involves negotiating the differences between the four personalities. You don’t always want to avoid confrontation, but you have to be diplomatic. Everybody should try to respect everybody else, including the differences in playing styles and in the way people’s personalities are expressed. And you know, you have to find the right way of asking for what you want—that much I have discovered. Probably it’s important not to take on a certain role, like the guardian of intonation or the guardian of rhythm, or something like that. Everyone should share those responsibilities. Q: Journeys was the Emerson Quartet’s final album with David Finckel. Any upcoming recording projects with Mr. Watkins that we can look forward to? A: Yes: A recording of Berg’s Lyric Suite and five songs by Egon Wellesz. [Wellesz] was a contemporary of Berg, and [the songs’ texts] are five sonnets of Elizabeth Barrett Browning that were translated into German. The reason that’s on the recording is that Renée Fleming joined us for the final movement of the Lyric Suite with [Berg’s] hidden voice part. It was a great honor for us to collaborate with Ms. Fleming, and we wanted to have another piece on that recording that would feature her. The five sonnets are very intriguing, kind of impressionistic writing for both the voice and the quartet, and that will come out in September. We’ve also got another recording in the can, but I don’t know when that’s going to come out. That’s music by Britten and Purcell: the second and third Britten quartets, Britten’s edition of Purcell’s Chacony, and four Purcell fantasias. They’ll come out sooner or later! The Emerson String Quartet performs with Colin Carr and Paul Neubauer at the Harris Theater (205 East Randolph Drive), Wednesday May 20, 7:30 PM. Tickets $10–50.